The Ontario Conservation Officers Association is proud to announce that Tim Rochette has been selected as the 2017 Conservation Officer of the Year! 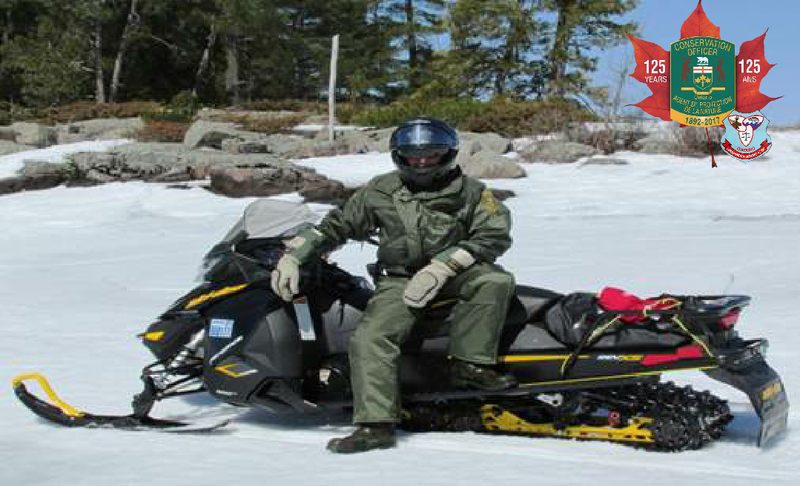 Tim Rochette (President of the OCOA) began his law enforcement career with the MNRF in 1988 when he became a Park Warden at Devil’s Glen and Wasaga Beach Provincial Parks. Tim received his appointment as a Deputy Conservation Officer with Lake Erie Management Unit in 1992 when he became a Commercial Port Observer with the unit. In 1994, Tim received his conservation officer appointment working with the Lake Huron Management Unit. From late 2014 to present Tim has been working as a Provincial Investigator with the Special Investigations Services Unit. Tim is an accomplished investigator who has demonstrated his commitment to the job and to protecting the public and our natural resources. An example of this includes successfully leading the field operations on the Lake Nipissing project that has currently spanned over 5 years and involved numerous officers. Chronic offenders were caught taking large limits of walleye from Lake Nipissing over the the past 5 years using investigative techniques lead by Tim. Convictions were obtained and fines totaling up to $400 per fish were registered against the accused. The official award ceremony took place at the Ontario Conservation Officers Association and North American Wildlife Officers Association conference in Sault St.e Marie July 18-21, 2017. The Officer of the Year award acknowledges officers like Tim who demonstrate the highest level of dedication and professionalism among our ranks and pays tribute to the high quality of Conservation Officers we have in the Enforcement Branch. Congratulations Tim from all of your fellow Conservation Officers, Conservation Officers’ Association Members and the public you have served.